Every object in the universe is endowed with four characteristics: dharma, karma, prema and gyana. Of these, karma is the most talked about; it is also the most misunderstood. 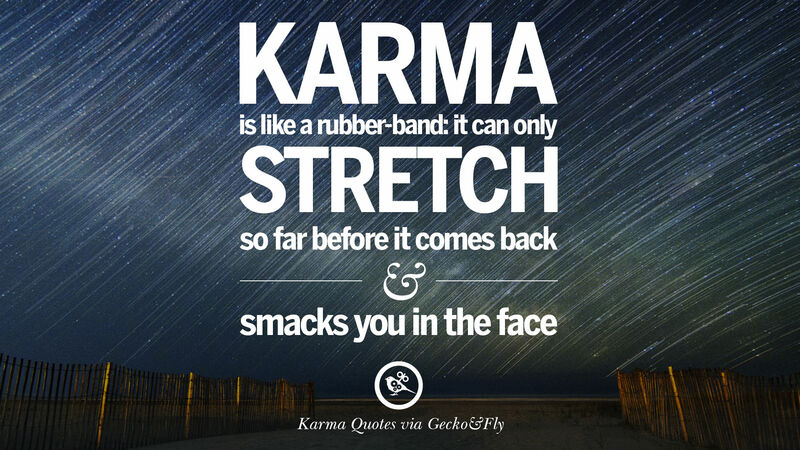 The Gita says: “Gahna Karmanyo Gathi” -- Unfathomable are the ways of karma. There are three types of karma: praarabdha, sanchita and agami. The first is latent karma, an impression or seed of action. The second is karma as action, and the third is karma as result. praarabdha means ‘begun’; the action that is already manifesting and that is yielding its effect right now. You cannot avoid it or change it, as it is already happening. Sanchita is accumulated karma. It is latent or manifested in the form of a tendency or impression in the mind. Sanchita karma can be burned off by spiritual practices before it manifests. Agami karma is the future karma of action; that which has not yet come and which will take effect in the future. If you commit a crime, you may not get caught today, but will live with the possibility that one day you may get caught. Karma is also always bound by time, because every action has a limited reaction. If you do something good to people they will come to thank you and be grateful to you as long as they are experiencing the effect of your action. So, karma has only a limited sphere of its effect, be it good or badIt is often asked, “Why are good people made to suffer while those who commit injustice go unpunished?” Such questions arise when we see an event in its limited framework. No good action will yield a bad result and no bad action will bring a good result. This is the law of karma As you sow, so shall you reap. If you sow a mango tree, some thorny bushes may come up because of the seeds present in the manure brought from somewhere else. It is not the mango seed that brings up the thorny bush. Your mango seed will bring mango fruit, in due course. Karma is that which propels reincarnation. The stronger the impression, the greater the possibility of the next life being according to that. So, often you reincarnate like the person you hate or love. The mind which is full of different impressions leaves this body but the impressions await suitable situations to come back. The concept of 33 koti devata in Hinduism! The Vedas refer to not 33 crore Devatas but 33 types (Koti in Sanskrit) of Devatas. They are explained in Shatpath Brahman and many other scriptures very clearly. 1. यह विभिन्न कलाओं का विकास एड्स, और उस में सम्मान सीखा है और बुद्धिमान के लिए दी जाती है क्योंकि यह हवा, पानी, बारिश और सब्जियों की शुद्धि से मानव जाति को लाभ मिलता है और क्योंकि यह भी "यज्ञ" कहा जाता Prajaapati,. Vēdōṁ nahīṁ 33 karōṛa Devatas lēkina Devatas kē 33 prakāra kē (sanskr̥ta mēṁ kōṭī) kō dēkhēṁ. Vē Shatpath brahma aura bahuta spaṣṭa rūpa sē ka'ī an'ya śāstrōṁ mēṁ samajhāyā jātā hai. Isakā matalaba hai: Bhagavāna kē prabhāva kē sātha, ina taintīsa (dēvatā kā samarthana) duniyā kō banā'ē rakhanē. 1. Yaha vibhinna kalā'ōṁ kā vikāsa ēḍsa, aura usa mēṁ sam'māna sīkhā hai aura bud'dhimāna kē li'ē dī jātī hai kyōṅki yaha havā, pānī, bāriśa aura sabjiyōṁ kī śud'dhi sē mānava jāti kō lābha milatā hai aura kyōṅki yaha bhī"yajña" kahā jātā Prajaapati,. Subhash Chandra Bose was one of India's greatest freedom fighter. He was the founder of the Indian National Army, popularly known as 'Azad Hind Fauj'. Netaji Subhash Chandra Bose had visited London during pre-independence period to discuss the future of India, with the members of the Labor party. His sudden disappearance from Taiwan, led to surfacing of various theories, concerning the possibilities of his survival. Subhash Chandra Bose was born on 23 January, 1897 in Cuttack (Orissa) to Janakinath Bose and Prabhavati Devi. Janakinath Bose was one of the successful lawyer in Cuttack and received the title of "Rai Bahadur". He, later became a member of the Bengal Legislative Council. Subhash Chandra Bose was a very intelligent and sincere student but never had much interest in sports. He passed his B.A. in Philosophy from the Presidency College in Calcutta. He was strongly influenced by Swami Vivekananda's teachings and was known for his patriotic zeal as a student. He also adored Vivekananda as his spiritual Guru. Subhash Chandra Bose decided to take revenge, after reading so many incidents about the exploitation of the fellow Indians by the British. In 1916, Subhash reportedly beat and thrashed one of his British teachers E F Otten. The professor made a racist remark against the Indian students. As a result, Subhash Chandra Bose was expelled from the Presidency College and banished from Calcutta University. The incident brought Subhash in the list of rebel-Indians. In December 1921, Bose was arrested and imprisoned for organizing a boycott of the celebrations to mark the Prince of Wales's visit to India. Subhash Chandra Bose's father wanted him to become a civil servant and therefore, sent him to England to appear for the Indian Civil Service Examination. Bose was placed fourth with highest marks in English. But his urge for participating in the freedom movement was intense that in April 1921, Bose resigned from the coveted Indian Civil Service and came back to India. Soon, he left home to become an active member of India's independence movement. He, later joined the Indian National Congress, and also elected as the president of the party. While Chittaranjan Das was busy in developing the national strategy, Subhash Chandra Bose played a major role in enlightening the students, youths and labors of Calcutta. He was eagerly waiting to see India, as an independent, federal and republic nation. In freedom struggle congress was large organisation. Subhash Chandra Bose became a strong leader in Congress and he made brave attempt to mould the entire party differently. Congress party was always lenient and never in a position to oppose. Saubhashbabu outrightedly opposed this behaviour. This opposition was against Gandhi‘s philosophy. Therefore Mahatma Gandhi and other leaders were hurt and since then they opposed him. Congress party had undertaken a deed of opposing his every thoughts, insulting him and cut down his wings of high flyer. In this manoeuvre of congress many of times he felt suffocated. Once there was a picture of ‘Subhash Chandra Bose against entire congress party’. It was first election of congress that time. Usually closer aide of Mahatma Gandhi used to get elected; but this time Subhash Chandra Bose got elected with higher votes. This insulted Gandhi group, which lead to their less interest of thinking towards parties campaign for independence. In order to acknowledge outside support and get freedom he went till Germany, Japan when it was period of 2nd world war! He decided to induce soldiers from outside to get freedom. Nehru at that time said “If Subhash would bring soldiers from outside and enter India, then I would be the first person to take sword in hand and oppose him.” so much he disgust Subhash. It was in 1941, that Subhash Chandra Bose suddenly disappeared. The authorities did not come to know for many days that he was not in his Barrack (the house in which he was being guarded). He traveled by foot, car and train and resurfaced in Kabul (now in Afghanistan), only to disappear once again. In November 1941, his broadcast from German radio sent shock waves amongst the British and electrified the Indian masses who realized that their leader was working on a master plan to free their motherland. It also gave fresh confidence to the revolutionaries in India who were challenging the British in many ways. The Axis powers (mainly Germany) assured Netaji Subhash Chandra Bose military and other help to fight the British. Japan by this time had grown into another strong world power, occupying key colonies of Dutch, French, and British colonies in Asia. 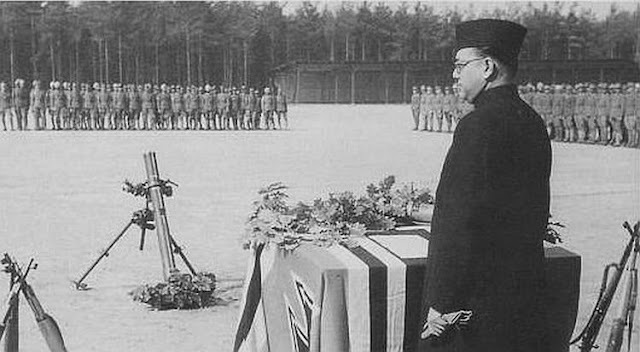 Netaji Bose had struck alliance with Germany and Japan. He rightly felt that his presence in the East would help his countrymen in freedom struggle and second phase of his saga began. It is told that he was last seen on land near Kiel canal in Germany, in the beginning of 1943. A most hazardous journey was undertaken by him under water, covering thousands of miles, crossing enemy territories. He was in the Atlantic, the Middle East, Madagascar and the Indian ocean. Battles were being fought over land, in the air and there were mines in the sea. At one stage he traveled 400 miles in a rubber dingy to reach a Japanese submarine, which took him to Tokyo. He was warmly received in Japan and was declared the head of the Indian army, which consisted of about 40,000 soldiers from Singapore and other eastern regions. These soldiers were united by another great revolutionary Rash Behari Bose. Rash Behari handed over them to Netaji Subhash Chandra Bose. Netaji Bose called it the Indian National Army (INA) and a government by the name "Azad Hind Government" was declared on the 21st of October 1943. INA freed the Andaman and Nicobar islands from the British and were renamed as Swaraj and Shaheed islands. The Government started functioning. Subhash Chandra Bose wanted to free India from the Eastern front. He had taken care that Japanese interference was not present from any angle. Army leadership, administration and communications were managed by Indians only. Subhash Brigade, Azad Brigade and Gandhi Brigade were formed. INA marched through Burma and occupied Coxtown on the Indian Border. A touching scene ensued when the solders entered their 'free' motherland. Some lay down and kissed, some placed pieces of mother earth on their heads, others wept. They were now inside India and were determined to drive out the British! Delhi Chalo (Let's march to Delhi) was the war cry. In May 1956, the Shah Nawaz Committee visited Japan to look into the situation of Bose's assumed death. Citing their lack of political relations with Taiwan, the Centre, did not seek for the assistance from their government. The reports of Justice Mukherjee Commission, tabled in Parliament on 17 May, 2006 said, "Bose did not die in the plane crash and the ashes at Renkoji temple are not his". However, the findings were rejected by the government of India. Stephen P Cohen and Sunil Dasgupta, in their book ‘Arming without Aiming: India’s Military Modernization’ (2010) have focused on the dilemmas of India’s militarisation. The core problem is that India is culturally and socially not a militarised state. While the armed forces are praised and are popular, they are not the fulcrum of the nation. India’s diplomatic and military policies are marked by restraint rather than aggression. They are reflective of Indian mind. ​Nehru might be blamed in isolation for ruining India’s defence production. But he was conditioned by the matrix of historical-cultural-economic forces. Should a newly independent nation, not self-sufficient in food production, invest in weapons ? Without building up heavy industries (problem addressed in the Second Five Year plan) self-sufficiency in defence production was a chimera. India had achieved its independence by civilian methods – not warfare or Revolution. The armed forces had played no role in shaping of India’s republican polity. Those soldiers who had joined Netaji Subhas Chandra Bose’s Azad Hind Faujj were discredited as traitors. On this issue Nehru and India’s iron man Sardar Patel were one. These were the challenges of stepping up indigenous defence production. It is purely conjectural what would have happened if Netaji Subhas Bose had been triumphant in his mission. Perhaps he, like George Washington, would have commanded the nation. One can imagine the India of Subhash Bose would have been mentally tougher than India of Nehru. India could have transformed itself into a robust state despite its perennial mindset. Bose himself had been a Khadi clad Congressman before he became the Supreme Commander of Azad Hind Fauj. The issue of India becoming self-reliant in defence matters was not lost on Subhash Bose. NG Ganpuley in his book Netaji in Germany : A Little Known Chapter tells how Netaji had met President of Skoda (originally a Czech arms manufacturing company) in Prague. He had promised to help Indians set up arms manufacturing facilities and train its staff when India became independent. Hindustan Aeronautics Limited, formed by merger to two aviation companies in 1964, is running in its 50th year. The original company Hindustan Aircraft Limited was set up in Mysore State in 1940. But its long product line is about light aircraft and light helicopters. India cannot produce Advanced Light Helicopters, Medium Lift Helicopters let alone heavy lift helicopters like Chinuk. Thus for purchasing military aircraft and helicopters we need to be dependent on likes of Agusta Westland, Boeing, Eurocopter etc. Building trucks is no rocket science. But we need to import trucks even while excelling in rocket science. Close to 8000 Tatra Trucks are being used by the Indian Army in various modifications. The number is less than five per cent of authorized motorised vehicles used by the Army. Bharat Earth Movers Limited (established 1964) now known by acronym BEML is the authorised importer of those trucks. Since 1997, these trucks have not been purchased directly from the company but through a vendor Tatra Siphox UK. For the last 24 years, it has not been able to achieve full indigenisation of Tatra as originally envisaged. The BEML had converted the currency of payment from dollars to euros causing a loss of Rs 4 crores and did not levy Liquidated Damages charges resulting in loss of another Rs 9.27 crores. The BEML chief VRS Natarjan was suspended, and later retired. Ravi Rishi, CEO of Tatra Siphox UK is behind the bars. The CBI claims under Natarajan the BEML had partially surrendered indigenisation rights. The DRDO (Defence Research Defence Organisation) is the backbone of India’s R&D in military matters. The DRDO has developed missiles, aeronautical systems, radars, sonars, torpedoes, combat vehicles, bridges etc. This organisation is of critical importance for indigenisation of defence manufacturing. But for the last few years, it has been in news for scientists quitting it. In the last five years, 443 scientists at various levels have resigned from the organisation. This information came from Defence Minister AK Antony to the Rajya Sabha on March 20, 2013 in response to a question put by BJP’s Piyush Goyal. Though the resigned scientists have indicated personal / domestic grounds for leaving DRDO, it is assumed they have secured lucrative opportunities elsewhere. The Government has now declared a slew of incentives to retain the scientists. The challenges of indigenous production are no less than importing weapons and equipments. Though we perceivably have an honest Defence Minister, the UPA Government seems to have become a playground for middlemen. The most pronounced case is that of Abhishek Verma, who is now lodged in Tihar jail along with his Romanian wife Anca Neascu. He is charged with trying to bribe a Defence Ministry official on behalf of American small gun manufacturer Sig Sauer. Interestingly Abhishek Verma, a proclaimed con man, is the son of late Hindi poet Shrikant Verma. Shrikant Verma (1933-1986) was national spokesperson of the Congress (I) and Rajya Sabha member on Congress ticket. Abhishek’s mother Veena Verma was also a Rajya Sabha member from the Congress. His political connections helped him until he overreached. Much depends upon who leads India. Wars are won and lost in the mind. The same applies to preparation for war. I had concluded an earlier article by saying we need a strong political leader like Narendra Modi to ensure India’s indigenous defence production base expanded. I am not surprised that he is thinking along the right lines. Azad Hind Sena’s Captain Lakshmi Sehgal ! Captain Lakshmi Sehgal helped Netaji Subhashcandra Bose to escape by putting up a brave fight for 16 hours on Burma border with the army that had latest weapons ! Captain Lakshmi was born at Chennai on 24.10.1914. At the age of 24, she passed MBBS examination in 1938. She heard speeches of Netaji Subhashchandra at Singapore, was influenced and drawn to ‘Azad Hind Sena’. Rani Lakshmibai of Jhansi was born on 22nd October. On the same day in the year 1943, Subhashbabu founded ‘Jhansi Rani Lakshmi Squad’ in ‘Azad Hind Sena’. Lakshmi took over the leadership of this squad. Along with her different contingents, Captain Lakshmi marched towards battlefield to fight against her enemy i.e. the British army. In fact, she didn’t have enough food, clothes or ammunition. The part where she was to go, was full of thick forest and vallies. An order was received to march at early morning. The British army must have been a mile away and it charged on the squad. Captain Lakshmi immediately ordered to retaliate. Jhansi Rani squad attacked the British army, guns started firing, cannons started blowing fire balls at the enemy. The acclamations of ‘Jai Hind’, ‘Inquilab Zinzabad’, ‘Azad Hind Zindabad’ made the British squad to tremble. The firing went on amongst the slogans. Captain Lakshmi’s ‘Rani of Jhansi’ won. Rani Jhansi squad forced the brave squad of British soldiers to surrender in the battle fought on the border of Hindustan and Burma. 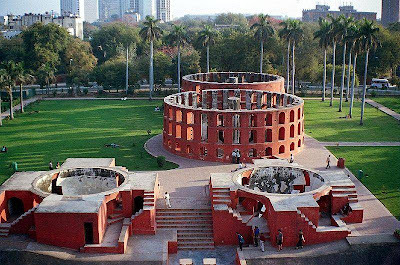 Being in Delhi, anyone fascinated by India's ancient scientific brilliance cannot afford to miss the Jantar Mantar. 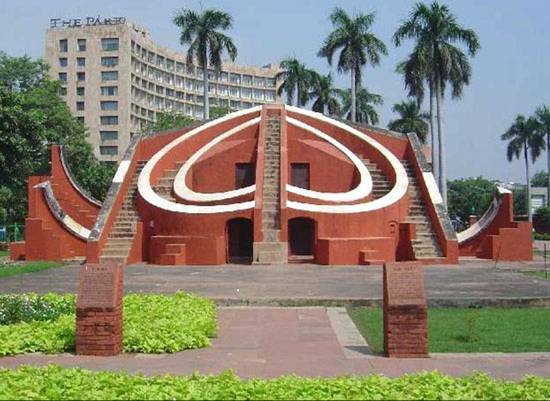 This historic observatory is located on Sansad Marg near Connaught Place. 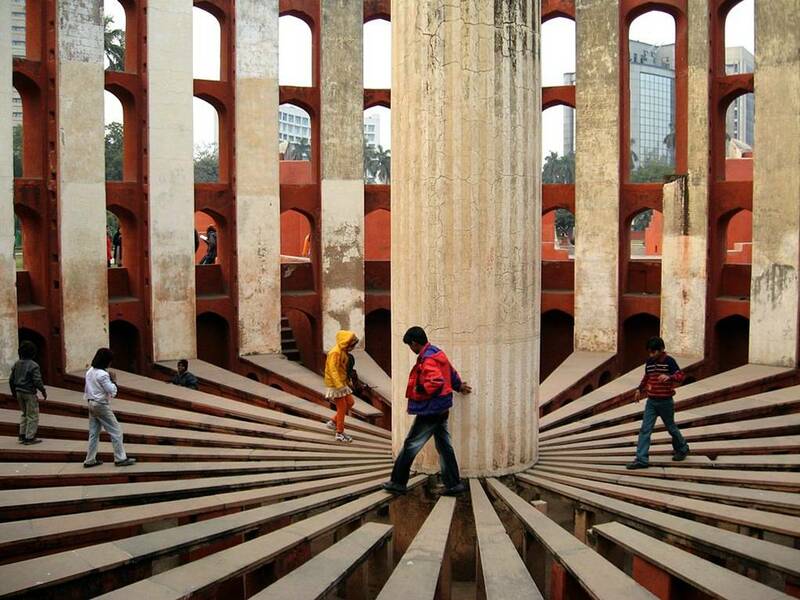 If you are in the mood for a walk, you can do so from the Rajiv Chowk Metro Station. Otherwise, it's a 5 minute ride in an auto-rickshaw. The "Jantar Mantar" is a common name used to denote the set of 5 astronomical observatories built by Maharaja Jai Singh II. Apart from the Delhi, these observatories are located in Jaipur, Mathura, Ujjain and Varanasi. Except the one in Ujjain, all the others have stood the test of time. The term Jantar Mantar seems to be a corruption of the term "Yantra Mantra", where Yantra means Instrument and Mantra means Formula. 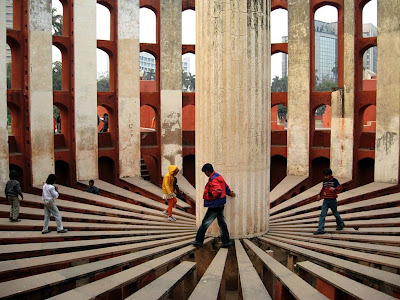 It can also be a corruption of the term "Yantra Mandir", which translates into Temple of Instruments. The images of these instruments are shown below. 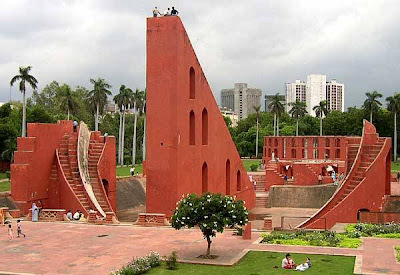 It is understood that the Samrat Yantra is unparalleled in its size, and is clearly the largest sundial in the world. It is wonderful to note that Indians used scientific instruments of such huge proportionality so many years back ! Tirumala Tirupati Devasthanams, (TTD) is the trust that manages the Tirupati Balaji Temple. Apart from the sale of prasad, darshan tickets etc., a huge chunk of money comes from the gold offerings and donations made to the deity. It is estimated that TTD earns more than Rs 6 crores per day. The Laddus have been used as Prasad in the temple since the last 300 years. To counter the black market of Laddus developing on the name of Tirupati Balaji Temple, the laddus were patented under the Geographical Indications of Goods (Registration and Protection) Act. The pious offering was introduced in the year 1715 and today, and as of today more than 150000 laddus are made daily. On an average, more than 50000 pilgrims visit Tirupati Balaji Temple every day and on special occasions like the annual Brahmotsavam, the number of devotees can go up to 500,000 or more. Many people come from Chennai as it is the nearest metro city having an international airport. You can hire direct Chennai to Tirupati cabs for convenience. Tirumala is mentioned in the most important holy scripture ‘Ramayana’. As per it, during the Treta Yuga, Lord Rama stayed in Tirumala for some time after winning the war against Ravana in Lanka. Having hair on the head is considered as a sign of beauty and Vedic wisdom urges us to control this distraction. Pilgrims express their devotion to Lord Venkateshwara by shaving off their hair at the temple. The temple is surrounded by ancient hills having beautiful natural rock formations. 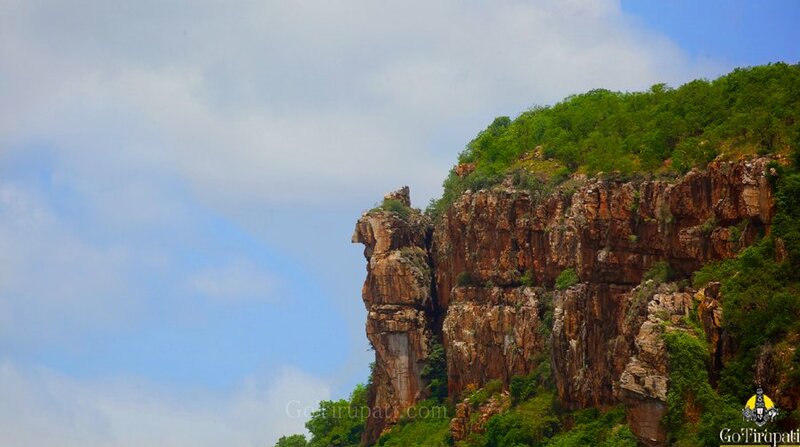 One of the hill is in shape of Garuda, the vehicle of Lord Venkateshwara. Oil lamps are used in worshipping Lord Venkateshwar and the amazing fact is that these lamps never get flickered out. It is believed that these lamps were lit up thousands of years ago and will remain like this forever. At one kilometre from the Tirumala temple, there is a natural stone arch which is an ancient wonder. A detailed survey was conducted by the Geological Survey of India scientists and it is found to be 2.5 billion years old. This natural stone arch has the shape of a serpent hood, Sankha and Chakra, which are all the sacred elements associated with Lord Vishnu’s celestial body. It is believed that Goddess Lakshmi Devi resides in the chest of Lord Vishnu. During Nija Roopa Darshanam ritual on Thursdays, Lord Venkateshwara’s idol is decorated with wood paste. When the decoration is removed, the impression on Lakshmi Devi remains. This imprint is then sold by the temple authorities. 10. Celebrities like Amitabh Bachchan and many others are seen visiting this temple very often. The jewellery related to this temple is very popular and believed to be holy and blissful. You will find many people wearing Tirupati Balaji bracelets as a symbol of their devotion and love to Lord Venkateshwara. The whole process of standing in a queue for Darshan could be tiring. To have more comfort in your trip, it is recommended that you travel in Chennai to Tirupati cab. Savaari.com is a reliable provider of Chennai cab service. Maharana Pratap is a name worth remembering to begin one’s day with. His name is engraved with gold among the list of valiant kings who protected the Nation, Dharma, Culture and Freedom of this country by sacrificing his life! This is a holy remembrance of his valor! Who does not know the name of the great king of Mewar, Maharana Pratap Singh? In the history of India, this name has always proved to be motivating for qualities like valor, bravery, sacrifice and martyrdom. Many brave warriors like Bappa Rawal, Rana Hamir, Rana Sang were born unto the Sisodiya family of Mewar and were given the title of ‘Rana’ but the title of ‘Maharana’ was only bestowed on Pratap Singh. Maharana Pratap was born in 1540. Rana Uday Singh, the Second, of Mewar had 33 children. Among them, the eldest was Pratap Singh. Self-respect and virtuous behavior were the main qualities of Pratap Singh. Maharana Pratap was bold and brave right from his childhood, and everyone was sure that he was going to be a very valiant person as he grew up. He was more interested in sports and learning to wield weapons rather than general education. During Maharana Pratap Singh’s time, Akbar was the Mughal Ruler in Delhi. His policy was to make use of the strength of Hindu kings to bring other Hindu Kings under his control. Many Rajput kings, abandoning their glorious traditions and fighting spirit, sent their daughters and daughters-in-law to the harem of Akbar with the purpose of gaining rewards and honor from Akbar. Uday Singh appointed before his death, Jagammal, the son of his youngest wife as his heir although Pratap Singh was elder to Jagammal but he was ready to give up his rights like Prabhu Ramchandra and go away from Mewar but the chieftains did not at all agree with their king’s decision. Besides they were of the opinion that Jagammal did not possess qualities like courage and self-respect which were essential in a leader and king. Hence it was collectively decided that Jagammal would have to sacrifice the throne. Maharana Pratap Singh too gave due respect to the wish of the chieftains and the people and accepted the responsibility of leading the people of Mewar. Maharana Pratap's enemy had surrounded Mewar at all its’ boundaries. Shakti Singh and Jagammal, the two brothers of Maharana Pratap had joined Akbar. The first problem was to gather enough soldiers to fight a face-to-face war which would have required vast money, but Maharana Pratap’s coffers were empty whereas Akbar had a large army, a lot of wealth and a lot more at his disposal. Maharana Pratap, however, did not get distracted or lose heart nor did he ever say that he was weak as compared to Akbar. Akbar tried his best to bring Maharana Pratap under his clutches; but all in vain. Akbar got angry as no compromise could be arrived at with Maharana Pratap, and he declared war. Maharana Pratap also started preparations. He shifted his capital to Kumbhalgad in the Aravalli range of mountains which was difficult to access. Maharana Pratap recruited tribal people and people dwelling in forests in his army. These people had no experience of fighting any war, but he trained them. He appealed to all Rajput chieftains to come under one flag for Mewar’s independence. Maharana Pratap's army of 22,000 soldiers met 2,00,000 soldiers of Akbar at Haldighat. Maharana Pratap and his soldiers exhibited great valor in this battle although he had to retreat but Akbar’s army was not successful in completely defeating Rana Pratap. Maharana Pratap and his faithful horse named ‘Chetak’ also became immortal in this battle. ‘Chetak’ was seriously injured in the battle of Haldighat but to save his master’s life, it jumped over a big canal. As soon as the canal was crossed, ‘Chetak’ fell and died thus it saved Rana Pratap, risking its life. The strong Maharana cried like a child over the death of his faithful horse. Later he constructed a beautiful garden at the place where Chetak had breathed its last. Then Akbar himself attacked Maharana Pratap but even after six months of fighting the battle. Akbar could not defeat Maharana Pratap and go back to Delhi. As a last resort, Akbar sent another great warrior General Jagannath in the year 1584 with a huge army to Mewar but after trying relentlessly for two years, even he could not catch Rana Pratap. Maharana Pratap used to take his family with him even when wandering in the jungles and valleys of the mountains. There always used to be the danger of the enemy attacking at anytime from anywhere. Getting proper food to eat was an ordeal in the forests. Many times, they had to go without food; they had to wander from one place to another without food and sleep in the mountains and forests. They had to leave the food and immediately proceed to another place on receiving information about the enemy’s arrival. They were constantly trapped in some catastrophe or the other. Once the Maharani was roasting ‘bhakris (Indian bread)’ in the forest; after eating their share, she asked her daughter to keep the left over ‘bhakri’ for dinner, but at that time, a wild cat attacked and took away the piece of ‘bhakri’ from her hand leaving the princess crying helplessly. That piece of ‘bhakri’ was also not in her destiny. Rana Pratap felt sorry to see the daughter in such state; he got angry with his valor, bravery, and self-respect and started thinking whether all his fighting and bravery was worth it. In such a wavering state of mind, he agreed to call a truce with Akbar. A poet named Prithviraj from Akbar’s court, who was an admirer of Maharana Pratap, wrote a long letter in the form of a poem to him in Rajasthani language boosting his morale and dissuading him from calling a truce with Akbar. With that letter, Rana Pratap felt as if he had acquired the strength of 10,000 soldiers. His mind became calm and stable. He gave up the thought of surrendering to Akbar, on the contrary, he started strengthening his army with more intensity and once again immersed himself in accomplishing his goal. There was a Rajput chieftain serving as a minister in the regime of forefathers of Maharana Pratap. He was very much disturbed with the thought that his king had to wander in forests and was going through such hardships. He felt sorry to know about the difficult times Maharana Pratap was going through. He offered a lot of wealth to Maharana Pratap that would allow him to maintain 25,000 soldiers for 12 years. Maharana Pratap was very happy and felt very grateful. Maharana Pratap initially refused to accept the wealth offered by Bhamashah but at his constant insistence, he accepted the offering. After receiving wealth from Bhamashah, Rana Pratap started receiving money from other sources. He used all the money to expand his army and freed Mewar except Chittod which was still under the control of the Mughals. Maharana Pratap was lying on the bed made of grass even when he was dying as his oath of freeing Chittod was not still fulfilled. At the last moment, he took his son Amar Singh’s hand and handed over the responsibility of freeing Chittod to his son and died in peace. There is no comparison in history to his fight with a cruel emperor like Akbar. When almost the whole of Rajasthan was under the control of the Mughal Emperor Akbar, Maharana Pratap fought for 12 years to save Mewar. Akbar tried various means to defeat Maharana, but he remained unbeatable till the end. Besides, he also freed a large portion of land in Rajasthan from the Mughals. He underwent so much of hardship, but he preserved the name of his family and his Motherland from facing defeat. His life was so bright that the other name for freedom could have been ‘Maharana Pratap.' We pay tribute to his valiant memory! "Translate the site to your comfortable language"
Where do i start learning about hinduism? Heaven at the North Pole? Another outrage in Bengal – Hindu Monk of Ramakrishna Order stripped and beaten mercilessly for Ashram land. Hindu Terminal is an initiative, which tries to spread the wisdom of Hinduism. 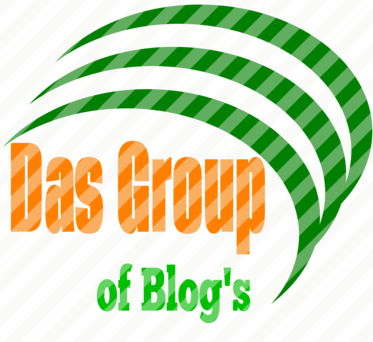 We try to compile all knowledge about Hinduism at one place, We try to unite people, spread idea's and aware people of the recent happenings around Globe which has an adverse or positive effect on Hindus and Hinduism. We specially want to clarify every unexplained topics on Hinduism. Not to profit but to serve Sanatan Dharma to the extent i can.